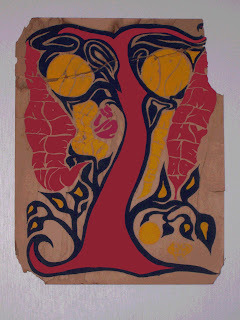 Jerry Lettvin 1920 -- 2011: The original poster! Jon Chosiad has sent us a real treasure! "... a jpeg rendition of the original MIT Lecture Series Committee (LSC*) poster which I and Mike Oman worked on 40-some-odd years ago announcing the upcoming debate between your father, Dr Jerome Lettvin and the notorious Dr Timothy Leary. The lecture was held at MIT's Kresge's auditorium. If I can get the jpeg cleaned up and no one objects I would forward it to Dr Lettvin's memorial blog or wherever you thought appropriate. 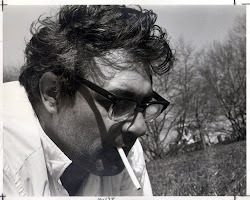 David Lettvin - a New England based essayist, novelist, and historian, a classmate at Commonwealth School in the '60's. Larry Stelmack - Electronics and Computer engineer turned computer-aided artist; a dorm-mate who might be willing to restore the poster to its original grandeur if he ever gets the time. Richard Stern - CMU PhD and Professor in a multitude of auditory-related subjects, musician, harpsichordist and the archivist who saved a copy of the poster for 30 years. Mike Oman - another dorm-mate and collaborator on the original poster, whereabouts currently unknown to me. I am guessing at his e-dress. *LSC stands for Lecture Series Committee (not a mis-spelling of Dr Leary's favorite recreation). LSC was the producer of all MIT-sponsored extra-curricular movies, lectures, plays etc. Kresge was the auditorium where the event was held. The stylized yellow oval in the lower right was the logo for CHOMAN, Mike and my artistic collaborative. "